For decades, Thailand’s king was the unifying force of the country—leading the country through 10 military coups. But with the passing of King Bhumibol Adulyadej and the looming ascension of his unpopular son to the throne, that political and social stability could come into question. While officially above politics, the widely popular and revered king was the single most important figure in Thai politics since the end of the absolute monarchy in 1932. Over the years, Bhumibol carefully crafted an image of moral authority that helped guide the nation through tumultuous years of political crises. “For 70 years, the king has been the primary unifying force in Thai politics and prevented political convulsions. Without his steadying hand, a lot will be thrown into question,”said John Minnich, senior analyst with Stratfor. The country will remain in mourning for one year, and the coronation of Crown Prince Vajiralongkorn was also delayed for at least one year. “In the short term, the opposition will remain quiet because major actions now would undermine their own reputation,” Minnich said. The absence of the revered king and his role as a unifying figure of moral authority could rattle Thai politics, especially since the chosen successor is widely disliked. The 64-year-old crown prince has not been heavily involved in the public duties associated with the monarchy and has spent much time outside the country, notably in Germany. Vajiralongkorn does not command the same amount of respect and admiration that his father did, and that could be problematic for Thailand going forward. “The crown prince is a deeply unpopular figure and lacks the moral authority of his father. 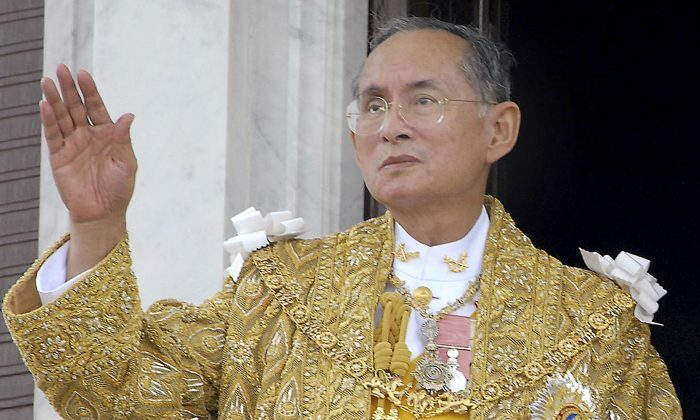 It may change, but there is no question that the prince is not and will not be the unifying figure that Bhumibol was,” Minnich said.